I am crazy for the POCKET PAGES™ card PATTERNS. I want to use them on everything....and so, I have been doing just that! Although, they were designed in theme-oriented packages, I opened many packages and took out all the pattens for this project. I also typed and printed a few of my favorite AFFIRMATIONS to include. I bought a 30" x 40" stretched canvas and selected all my favorite pattens. I began by laying out all the cards along one edge of the canvas. 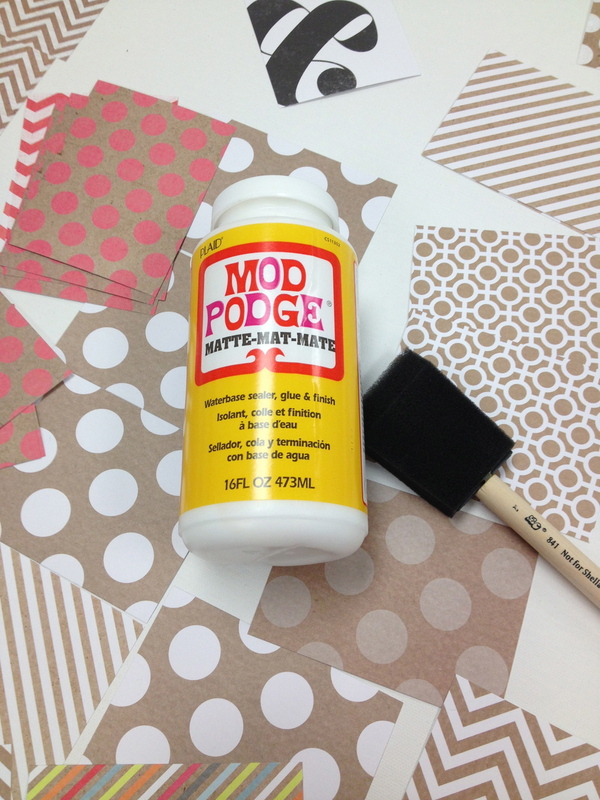 Spread a generous amount MOD PODGE™ on the canvas to adhere the POCKET PAGES™ cards along one edge to start. Lining up the edges of the cards, continue filling the canvas completely. 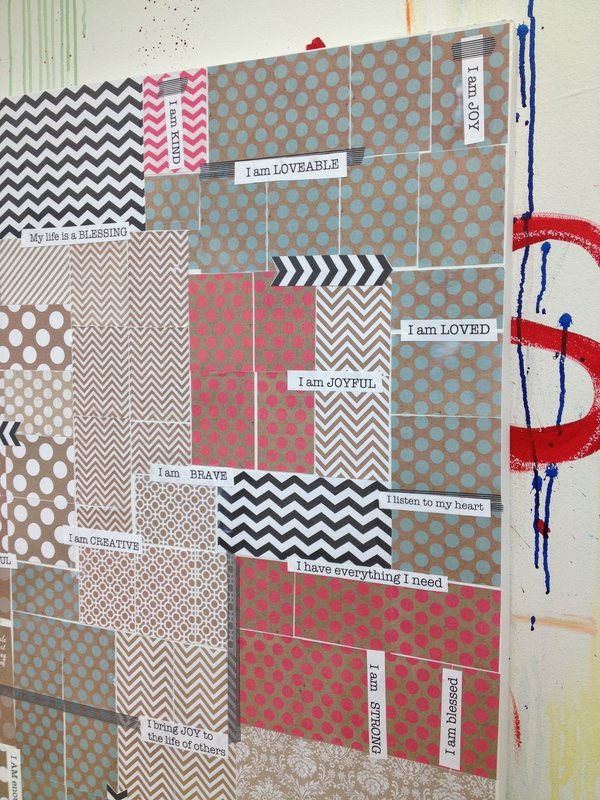 I grouped some patterns to create a large area of the same design and used others just randomly. I added a few larger black & white pieces of mambi scrapbook paper as well. It is not necessary to cover the top surface of the cards with the MOD PODGE™, just be sure that the edges are stuck down well. I added my paper affirmations that I printed on regular paper from my computer.....on some of them I used black stripped Washi tape. After allowing the piece to dry completely, I brushed a thin coat of white gesso over the entire surface of the piece so it became more opaque. 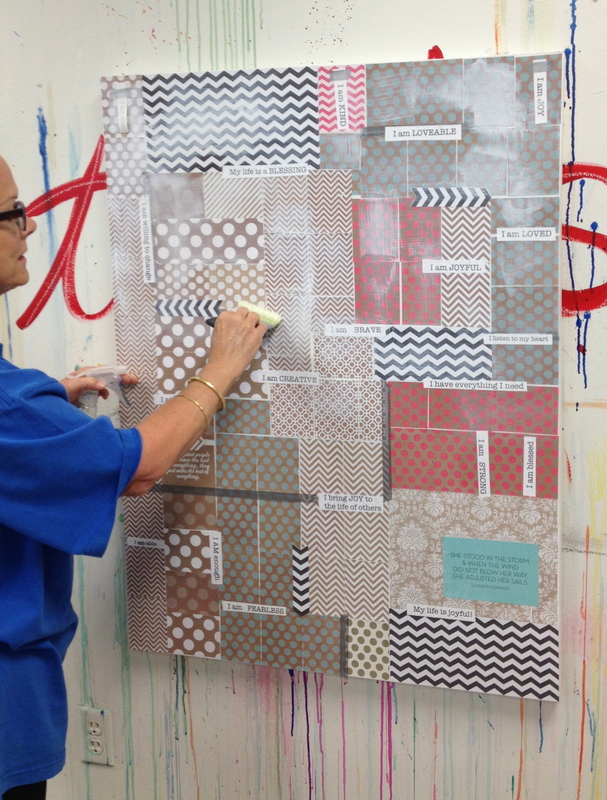 That's it.....POCKET PAGES™ patterns galore......I'm going to hang this in my office to inspire me every day. Don't let the red letter "S" distract you. We have a wall in the mambi studio that we all paint freely on....I just realized after looking at this post that it looks a little odd. FYI.